When attempting to extract their juice, you’ll find that leafy greens like to put up a decent fight before they give in. Some of the best juicers for leafy green use a spinning mechanism, and they’re able to extract more juice than alternative products. Masticating juicers are good at getting every drop of juice out of your favorite leafy greens, and with help from a spinning auger, they can effectively grind and chew your produce. When they’re finished extracting the juice, masticating juicers eject the pulp and leave you with nothing but the good stuff. Contrary to popular belief, you’ll actually save money by juicing your own leafy greens, and you can stop throwing money away on diluted commercial products. If you’ve just started juicing, it won’t take long before you find out that different juicers are needed for different purposes. For example, one type of juicer might work well for citrus fruits, but when used for leafy greens like juicing spinach or kale, it’s almost completely useless. Every type of juicer comes with benefits and drawbacks, and if you’re going to be working with leafy greens, then you have several options to consider. Some juicers cut fruits and vegetables into tiny pieces and use a strong motor to spin the juice out of the pieces. This technique is great for denser, harder produce, but it’s not always the best choice for leafy greens. Unlike other types of produce, leafy greens are lightweight and should be pressed. Below, you’ll find five of the best juicers for leafy greens. Here we have a top product, and it’s available in several different colors. Since this is a masticating juicer, it works different than a centrifugal model. With a powerful motor, it quickly grinds through leafy greens, and it operates at a low speed of 80 RPMs. The low speed is important because it prevents clogging, foaming and excess heat. 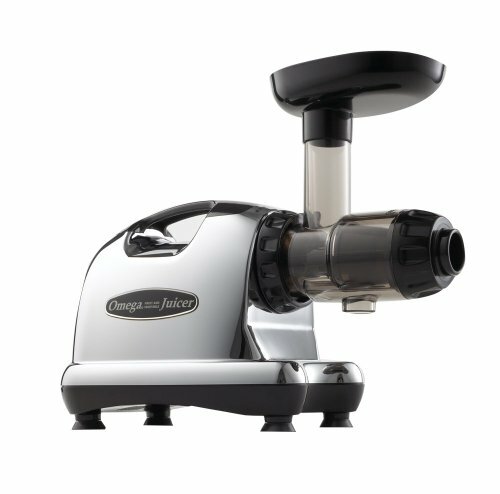 The Omega J8006 is a dual-stage juicing system and doesn’t make as much noise as some other models. It’s also a high-yield model, so it squeezes more juice out of your favorite leafy greens. For easy, continuous juicing, it features a built-in pulp-ejection feature, and it runs on 110V of electricity. If you’re looking for one of the best masticating juicers that you can use for leafy greens, then this product is worth considering. The Omega J8006 operates at a speed of 80 RPM while many other models operate between 1,650 and 15,000 RPMs. The low speed is important because it protects healthy enzymes and prevents oxidation. An additional benefit of the reduce speed is a longer shelf life, which allows you to store fresh juice for up to 72 hours. When compared with some other products, the Omega J8006 has a much stronger auger, and the processing system extracts all the nutrients from your leafy greens. The Omega J8006 is ideal for juicing pine tree needles, spinach, cabbage, kale and wheatgrass, and it can help you access more nutrients from every piece of material. Here we have another great masticating juicer, and with a wide feeding chute, it’s ideal for converting leafy greens into healthy, tasty juice. The Kuvings B6000S is made of Ultem Tritan ABS, and with a simple design, it has no trouble fitting into a cramped kitchen. This juicer features a 240W motor and doesn’t produce too much noise. With its patented features, it works well for juicing leafy greens, vegetables and fibrous fruits. It’s also designed with great ventilation, which helps to prevent oxidation. The three-inch chute can swallow whole fruits, but it’s just as effective for leafy greens. Since it operates at such a low speed, this juicer preserves more nutrients, and it also reduces prep time. The Kuvings B6000S can effectively squeeze the juice out of leafy greens, vegetables and whole fruits, and it also includes a special component for making sorbet. 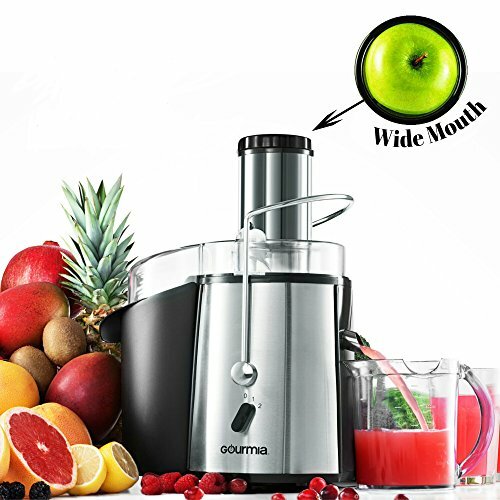 An included cleaning tool reduces the amount of time needed for cleaning after making a drink, and with a 240W motor, this juicer powers through even the heaviest fruits and vegetables. Although it comes with a hefty price tag, this product is worth considering. 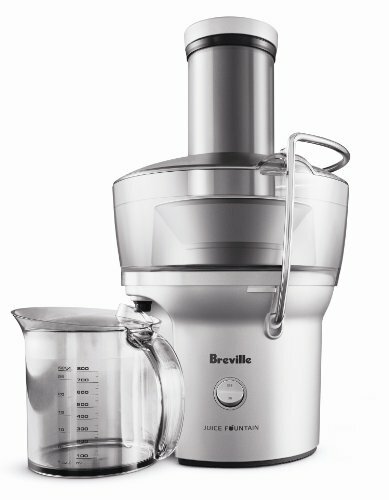 The Breville BJE200XL is a top centrifugal juicer, and it comes with a very affordable price tag. It features a centered knife blade assembly and uses a 700-watt motor to slice through leafy greens. After the powerful motor cuts the material into pieces, the spin chamber extracts juice with speeds up to 14,000 RPMs. A three-inch feed tube is designed to take large amounts of fruits or vegetables, and a stainless-steel mesh filter delivers fresh, clean juice. For convenience, this product is made from parts that can be washed in a dishwasher. It even comes with a custom cleaning brush. If you’re looking for one of the best centrifugal juicers on the market, the Breville BJE200XL shouldn’t disappoint you. The cutting disc is made of durable titanium, and a stabilizing knife helps to keep the machine working properly. Although this juicer works well for leafy greens, it’s just as effective for other fruits and vegetables. The Gourmia GJ750 is a centrifugal juicer, and it’s one of the best options for leafy greens. If you’re looking for a product that will extract the most juice from leafy greens, then the Gourmia GJ750 should be considered. With a CentriTract centrifugal extraction system, it delivers more power and extracts more juice from your favorite fruits and vegetables. Since it has multiple power settings, you can select the best setting for hard and soft food. The Gourmia GJ750 is great for fruits and vegetables, but it can extract more juice from leafy greens than many competing models. With a large, wide feed tube, it provides plenty of room for your produce. The size of the feed tube is large enough for whole fruits and vegetables, and the 8.5-cup pulp tank is removable, which makes juicing faster and easier. The stainless-steel interior helps to reduce noise, and the parts can be washed in a dishwasher. 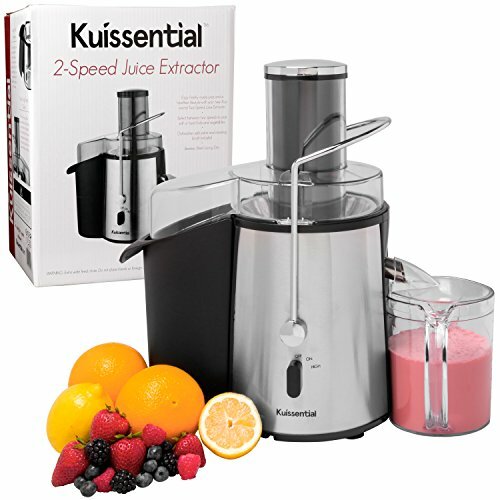 The Kuissential Professional juicer is another top product, and it uses a 700-watt motor to slice through fruits, vegetables and leafy greens. Since it uses a stainless-steel cutting disc, it’s easy to clean, and the durability of steel ensures a long lifespan for the product. The two-speed motor can extract juice from hard and soft produce, and with an extra-wide chute, you don’t have to spend hours prepping your fruits and vegetables. The safety locking arm adds an extra layer of protection against injuries, and the parts are dishwasher safe. The Kuissential Professional juicer has a pulp collector, and for easier cleaning, the pulp can be emptied within seconds. 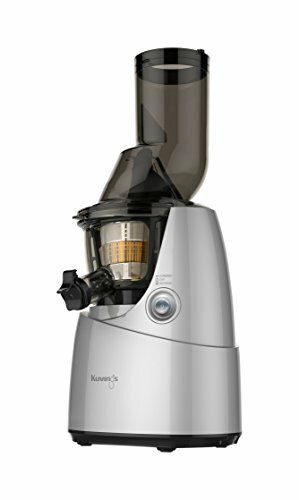 If you’re looking for one of the best juicers for leafy greens and don’t want to pay too much for it, consider the Kuissential Professional juicer. The process of extracting juice from leafy greens can be a bit different than the process you’d use for whole fruits and vegetables. Herbs and leafy greens are very important for your health, and if you’re not getting enough of them, your diet could be lacking essential nutrients. Every fruit and vegetable on the planet has a unique chemical structure, which is why you should rotate your produce. For the greatest nutritional value, you should rotate your leafy greens every week. The process of juicing leafy greens is similar to whole fruits and vegetables, but there are some differences to know about. One of the greatest tips is to roll the leaves before you slide them into the juicer. Most people choose to roll the leaves into the shape of a cylinder and tap them into the juicer. This tip is especially important if you have a juicer with a small feeding tube. When the leaves aren’t rolled up tightly, it can be difficult to get them into the feeding tube. Another great tip is to use the stems, which a lot of people throw out. There is nothing wrong with feeding hard stems into your juicer, and since they’re packed with nutrition, they shouldn’t be wasted. Chard and kale are some great examples of leafy greens that have a hard stem, and you don’t have to separate the stems because you’re not cooking them. Your juicer shouldn’t have any trouble processing the stems and extracting the nutritional value from them. If you’re just getting started with juicing, then it’s a good idea to take it slow. It’s a good idea to give your body some time to get used to the potent juice from leafy greens. There is no denying the benefits of green juice, but if you start out with too much, it can have detoxifying effects on your body. When your body is forced to detoxify itself too quickly, there is a good chance that you’ll end up feeling nauseous. Although nausea isn’t always a bad thing, it’s not a very comfortable feeling. You should start juicing with just a few leaves, and over time, work your way up to a full glass. The thought of consuming leafy greens feels good, but when consumed on their own, there is nothing tasty about them. The problem is that most leaves are extremely bitter, and if you don’t neutralize the bitter flavor, you won’t be consuming leafy greens for long. A lot of people like to start with cucumbers or celery, but you can use almost any fruit or vegetable to hide the taste of the bitter greens. One of the best ways to neutralize the bitter taste is to add apples, which taste sweet and mask the unwanted flavors. It’s possible to enjoy juicing with a cheap product, but if you want to get the best results, you should have a high-quality juicer. You might be surprised to learn that some of the best juicers are well within reach for the average consumer. It’s especially important to have a top-notch product when trying to extract juice from lightweight produce. Herbs are also packed with nutrients, and if you’d like to make some tasty drinks with herbs, consider using tarragon, mint, basil, cilantro and dill. For even more nutritional value, you can throw in watercress, red leaf lettuce, Romaine lettuce, arugula and purslane. The best juicers for leafy greens will help you extract more juice out of every piece of plant material, and with the right juicer, you can start living a healthier lifestyle and obtain nutrients that you might not get from your typical diet. You can also use these tips to make sure you’re getting the most out of the money that you spend on your favorite leafy greens.